The energy sector is a fast-paced, growing area which contributes directly to India’s GDP. As of December 2018, India is third in terms of electricity production and has the fifth largest power generation capacity in the world (Data from India Brand Equity Foundation). In the FY’18, India’s energy generation capacity was 344 GW and consumption were 1,149 KWh. According to the Ministry of Statistics and Programme Implementation, the electricity, gas, water supply, and other utility services sectors registered a growth rate of 7 percent in the year 2018-19. According to IBEF, India’s power sector is forecasted to attract investments worth USD 179.31 billion between 2017-22. Thus, it is evident that India’s economic growth is co-related to its energy generation and consumption. With such growing demands, it is imperative that the country invests equally in human resource development and research in this sector. With the aim to bridge the industry-academia gap in the energy sector, NTPC formed the NTPC Education and Research Society (NEARS), in the year 2014. Under the tutelage of NEARS, the NTPC School of Business was started in 2015. Initially, NTPC School of Business launched Post Graduate Diploma in Management – Executive with a vision to nurture leadership in the energy sector. In 2018, NTPC School of Business started the new PGDM (Energy Management) in academic collaboration with IIM Ahmedabad. The PGDM (Energy Management) is a two-year residential program which is AICTE approved. The three main areas of power or energy business are – Generation, Transmission, and Distribution. Energy is a vast sector, and you need specific expertise across all the sub-sectors which are quite diverse. On the basis of the Draft National Energy Policy (NEP) 2017, it is crucial to address the vital aspects of HRD requirements of the energy sector. The PGDM (EM) at NTPC Business School aims to provide holistic education in general management, including financial management in managing the utilities and energy businesses. 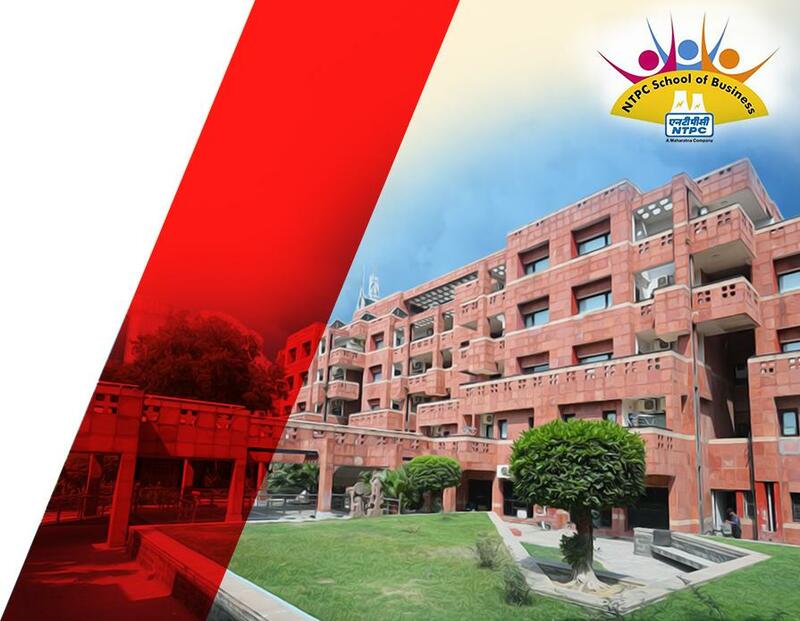 The PGDM (EM) curriculum has been designed with the academic support from IIM Ahmedabad. The students will be taught by a mix of IIM Ahmedabad faculty and NSB faculty pool. The pedagogy is a combination of lectures, case studies, discussions, group exercises, projects, and seminars. There is a focus on the case-study method which makes it an interactive approach. With the rapid changes and evolving technologies in the energy sector, the workforce needs to be abreast. The PGDM (EM) aims to contribute to the growth of the Indian energy sector which is anticipated to generate millions of jobs in the coming decades. The management professionals are expected to fill the void of the limited expertise present in the energy sector currently. Institutions like NTPC School of Business and societies like NEARS play a crucial role here. They are the creators of researchers who will be a critical ingredient of our energy-related R&D initiatives. NTPC School of Business promises to provide a comprehensive curriculum, quality faculty, and up-to-date facilities in order to support the power and energy sector and address the above requirements.